20/10 tenth of mm thick panelled riveted aluminium set. 1 leaf door,170° opening, retention crutch and pre-drilling for meter mounting plate (equipped with blanking plate). 3 point espagnolette rails and removable handle 11 base triangle or ERDF 10×30 semi cylinder (optional) closing system. 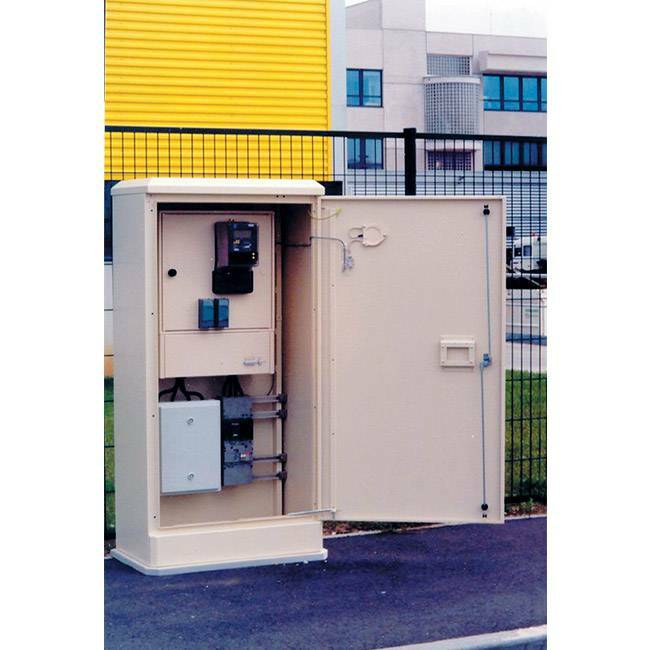 540×1100 mm Meter panel CTBX panel. One 250×1100 mm subscribers’ disconnection CTBX panel. One screws and bolts set for equipment fixation. Upper and lower natural ventilation. Coating : RAL 1015 textured thermo lacquered polyester resin. Standard protection: IP44 IK 10. Note: No planned space for an upstream disconnection service box. 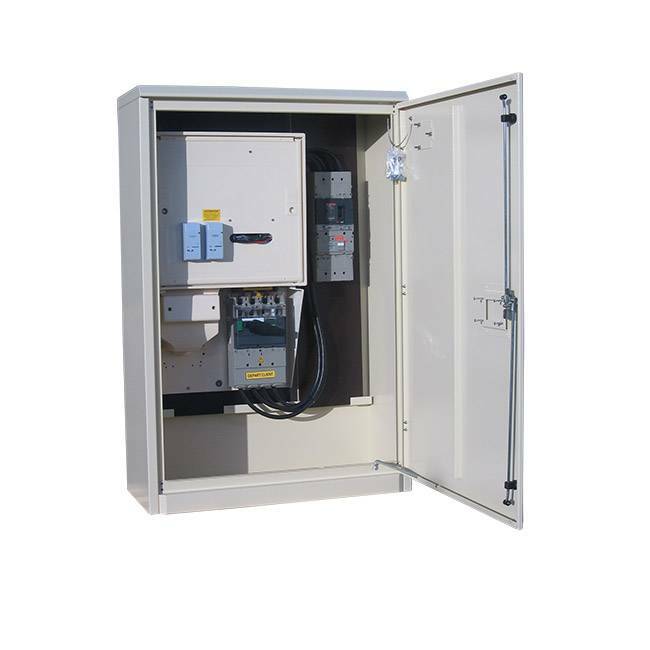 Cabling compartment according to specifications. 10×30 ERDF European cylinder 10×30. Concrete apron : plastic anchors with10 x 60 minimum coach screws. Aluminium or concrete base: position a gravel or a compacted backfill. 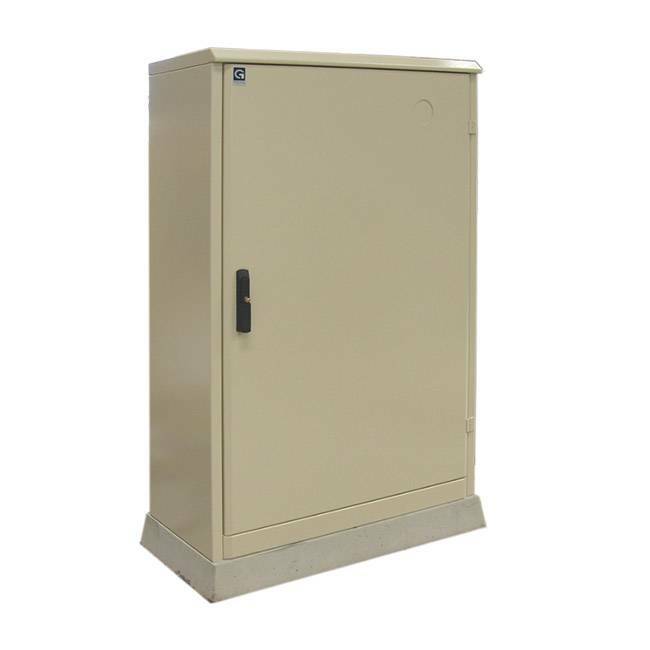 interested in our Angers electric meter cabinet ?